Psss the first person to point out how the US$ is also screwed with general obligation debt due in 15-30 years from now wins a prize. Yep this sums up technology in 2015 pretty nicely. Have a great New Year everyone and looking forward to 2016 !! Shame the reporter couldn't be bothered post the 5/10/20 year returns for a decent comparison. Considering the ASX is skewed towards mining etc telling us the 1 year returns this year is about as helpful as telling us the Saudi Govt returns with oil at $40 a barrel. Anyone else have the data for longer term returns? Was great to get to the ITP show this afternoon, if you missed it they have another session Monday. I was lucky enough to have had some friends in town so I took along their “Miss 10” along, the winner of the day by far was the VR Dragon…..lol wouldn’t have minded seeing that myself unfortunately there was line of patient kids sitting in a long row and didn’t have the heart to jump in behind Miss 10. What was interesting to watch in the time I was in line was how there wasn’t a single kid who was “ready” to get off the dragon and instead had to have the VR google taken off them when parents felt guilty about monopolizing the time after 5-4 minutes etc. Its going to be interesting to see how many willingly give up screens etc and use VR as their primary display. Great reminder that mortgage debt is generally for 20-30 years...... and that volatility can change in an instant so only borrow based on risks you can pay to get yourself out of. Of course.....understand that if you are under leveraged.....the government can "inflationise" your net worth dramatically each and every year to the tune of 2% min up to 10% and anyone under-leveraged suffers this government induced theft by not being fully risk on invested. Australia's future is in sustainable farming practices, we need to develop the north west plains and work on desalination infrastructure asap. 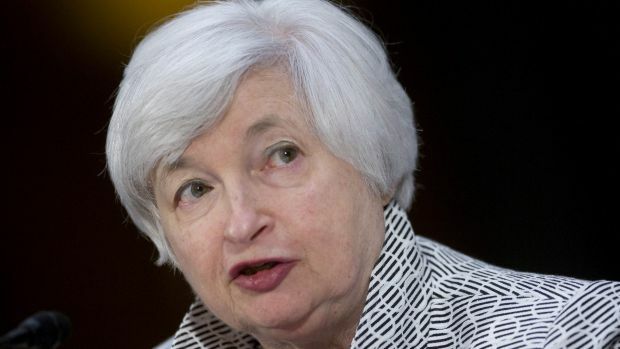 The answer is yep ...we are going to see a 0.25% fed rate hike at 2pm today. You only have to walk around Brooklyn Heights and see the amount of renovations/construction repairs going on to know that the mood has changed and people feel comfortable taking their wallets out of their pockets and are spending cash (which boosts the economy and takes out the slack). What happens next and where do we go from here......who knows. What the heck is going on?? Oil should be down to $20 a barrel if this keep going on for much longer.